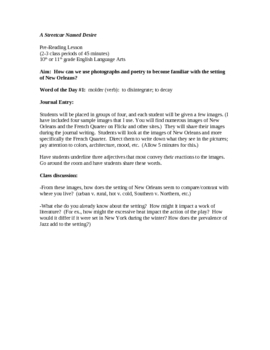 In these two pre-teaching lessons for A Streetcar Named Desire, I incorporate images and poetry featuring New Orleans to introduce the students to the setting. 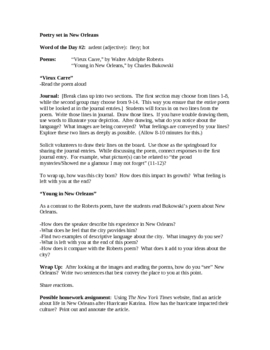 In the first lesson, students write about various images of the city (four images are included with the download) and then discuss what those images evoke. 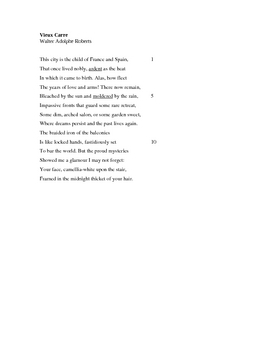 In the second lesson, students read and analyze two diverse poems set in New Orleans, "Vieux Carre" by Walter Adolphe Roberts and "Young in New Orleans" by Charles Bukowski. 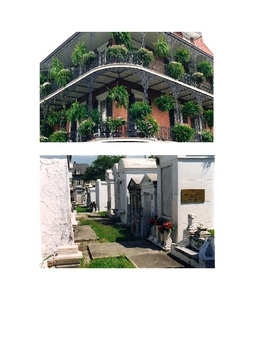 By using these lessons prior to reading the text, students are already able to see the unique qualities of New Orleans and how it might contribute to a work of literature.